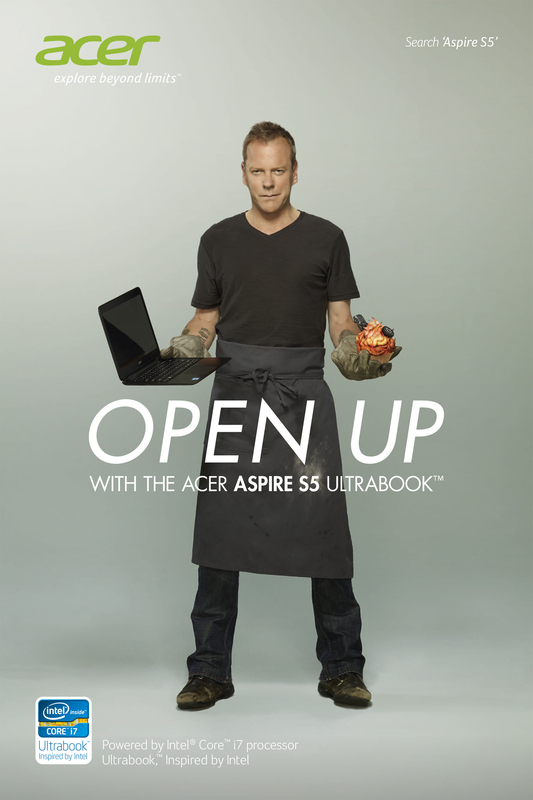 Acer has launched an advertising campaign featuring Kiefer Sutherland’s 24 character As Jack Bauer, using power drills and flame throwers, and an Aspire S5 Ultrabook™, to make cup cakes. 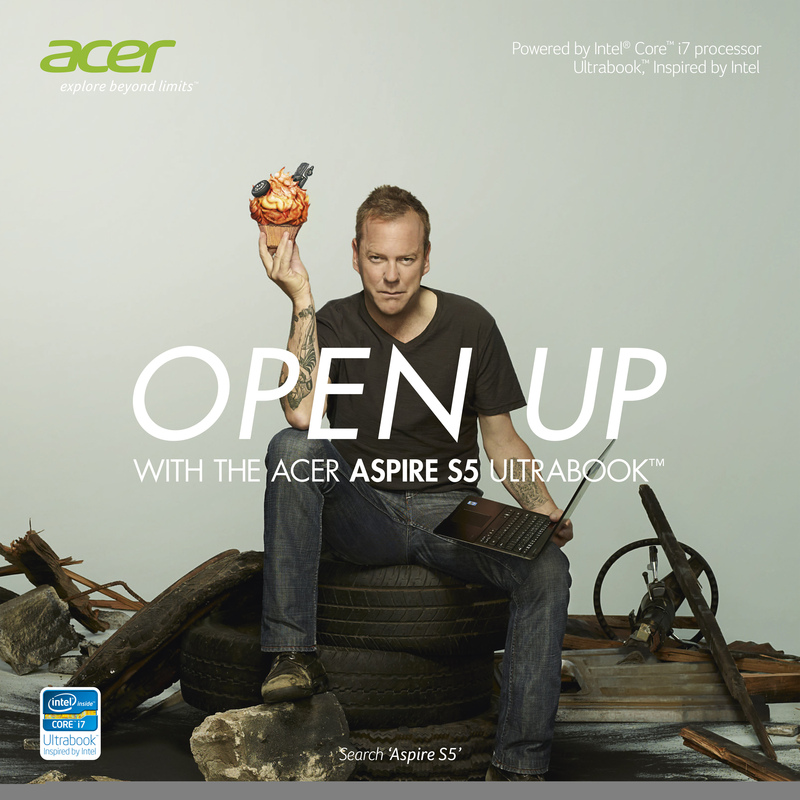 Jack Bauer is appearing on screen in the UK, Germany, France and Russia in a 90 second film for cinema and the web, a 20 second TV trailer and in a series of print ads. in the cult TV series ‘24,’ Kiefer Sutherland was shot, tortured, imprisoned and addicted to heroin. Over eight series he killed 267 people and used “any means necessary” to get what he needed. Every day was a bad day. Now he’s making cupcakes. Bauer being Bauer, hasn’t donned a frilly apron and got out the icing bag – he’s reached for power drills and flame throwers to make his cakes. Along the way he uses his laptop to search for the perfect recipe, ruthlessly interrogates people about ingredients and blows up his own car to make the logo for his cup cake brand. The Jack Bauer campaign was developed at Mother London by creatives Larry Seftel and David Day, agency producer James Turnham, working with Acer global brand director Maarten Schellekens. Filming was shot by director Ivan Zacharias via Stink with director of photography John Lynch and producer Nick Landon. Audio post production was done at Jungle Studios. Photographer was Brian Bowen Smith.